This sumptuous gift book originates from the beautiful letters and drawings that J.R.R. 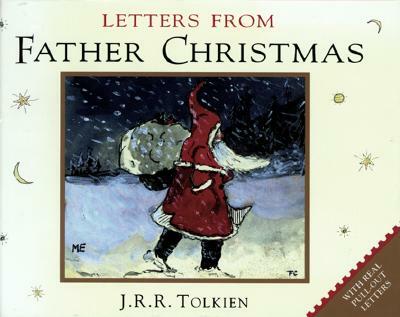 Tolkien, in the guise of Father Christmas, sent to his children over a twenty-year period. Including previously unpublished illustrations, facsimiles, and text, the letters tell the story of life at the North Pole, the mischievous North Polar Bear, the helpful Ilbereth the elf, and the adventures they share between Christmases. As well as beautifully reproduced pictures, the book features ten envelopes containing ten pull-out letters and pictures for readers to read, hold, and enjoy. The pull-outs are facsimile extracts of the original letters, with a simple "translation" on the back to help those who have trouble deciphering Father Christmas's shaky handwriting. An ideal Christmas gift, perfect for reading aloud to children yet collectible for adults, this enchanting book will bring Father Christmas to a whole new generation of readers.